Welcome to my travel resources page. Whilst it is possible to travel the world for free, it is also very useful to have cheap, functional resources at your disposal. This page contains a very select set of tools and booking sites that will help you to travel the world. I personally have used, continue to use, or implicitly trust every single site on this list, and if any of these sites ever breaks my trust, I will remove it from this page immediately. Combining these resources with my free travel techniques allows me to maximise my time on the road. You will notice that I only recommend one site for most things – this is because I have been on the road for years and have normally found one resource that is superior to all others for my personal needs. The only travel insurance I have used for many years is World Nomads. I find it to be comprehensive, good value, and customisable. I broke my back in a skiing accident and had all my medical bills covered, so I value travel insurance very highly and would never travel without it. [Note: It is good value for UK and US citizens, amongst others, but if your quote is very expensive (which it is for many Europeans), you might want to get a quote from Globelink International to see if you get a better deal.] Click here to get a quote from World Nomads. No other hotel site can match booking dot com for choice, price, or ease of use. I use it in every part of the world, paying attention to the well implemented review system to book my perfect stay. Click here to visit Booking.com. Hostels are brilliant for meeting people. I started using this website when I first went away at the age of eighteen, so have now been using it for over ten years due to its great search options and cheap prices. Click here to visit Hostelworld. If I am looking for a home-from-home where I can relax and cook my own food, Airbnb has the most to offer and is the clear market leader. Click here to register and get £30 in free travel credit when you make your first booking. There are hundreds of flight search websites available, but I pretty much only use SkyScanner. It has the most customisable and flexible search functions, allowing you to search multiple locations and dates at the same time. If you use the ‘everywhere’ search function and have flexible dates, you will get some absolute steals. If you have specific start / end points and dates in mind, there are other sites you could use, but I will always use SkyScanner for convenience. Click here to visit Sky Scanner. I am not a big language learner, but I have followed Fi3M since way back in 2012 and love the content Benny puts out. Rather than focusing on a single language course, he teaches techniques that can be applied to learn any language in the world. Click here to visit the FI3M course page. Workaway is my favourite site for finding volunteering opportunities around the world. It has active members and a cheap signup fee, allowing you to find volunteer placements globally. Click here to visit WorkAway. It’s been around longer than the internet, but WWOOF offers people the chance to work on organic farms around the world. Each country has its own site and database, so you have to join them individually. Click here to visit WWOOF. Started as a way to as to decommodify the volunteerism industry, this is a wonderful resource for finding meaningful volunteer opportunities around the globe and it is run by volunteers. Click here to visit Grassroots Volunteering. I have teamed up with some select recruiters that I trust to help people find jobs as English teachers. Click here to visit the English teacher application page or apply directly to English First to teach in China by clicking here. Get qualified to teach English with the world’s largest TEFL provider. You can do it online if you want, but you should do a 120+ hour course to ensure you meet job requirements around the world. Click here to visit i-to-i. I have reviewed their teaching course content and speak with the providers of this course regularly, and I appreciate all the hard work and time they put into their courses. Sign up here to Global English with code GBSW for a 10% discount. This course is made by a guy named Nomadic Matt who makes six figures from blogging. The first thing I ever did when I started blogging was read one of his books and it was excellent. 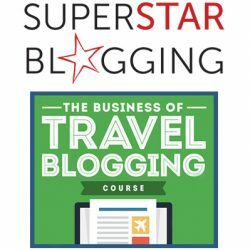 Click here to go to Superstar Blogging. Unless you’re a computer programmer or have very niche requirements, WordPress is the perfect tool for anyone who wants to create a website. I love it and it’s completely free to use. Click here to go to WordPress. If you don’t want wordpress.com on your website address, you need to buy a domain and hosting. I started with Host Gator, but wasn’t happy so moved to BlueHost, recommended by WordPress. Click here to visit Bluehost. Since learning how to use WordPress, I buy all my themes from this website and love the huge selection. There are free themes on WordPress, but if you want to upgrade, this is the way to go. Click here to visit Theme Forest. 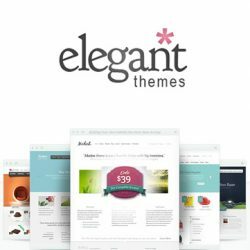 This is the first place I ever bought themes from and they offer you a brilliant selection all bundled together for one price. I recommend this to start with and in time, progress to Theme Forest. Click here to visit Elegant Themes. 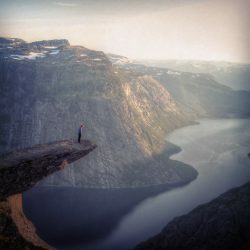 This is the ultimate resource for sourcing high quality, free photographs (along with FreeImages.com). There is a huge selection and every photo is licensed under Creative Commons for you to use as you wish. Click here to visit PixaBay. 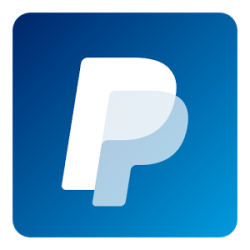 PayPal is an incredibly convenient and secure way to send and receive money around the world, taking the hassle out of bank transfers and payments that take a long time to clear. However, and this is a big however, their fees are way too high and I am seeking an alternative money transfer site. Mainly I use PayPal to buy things online and get paid for online work. Click here to go to PayPal. A lot of these websites are referred to in my advice pages with further explanations and recommendations, thus I recommend you visit the advice pages and have a read through there too. Disclosure: Some of the links on this page are affiliate links, meaning that I will get paid a commission for each sale made. This will not cost you any extra, but will help to support this site and allow me to create more content. I value the integrity of my recommendations and I personally have used, continue to use, or implicitly trust every single site on this list, and if any of them ever breaks my trust, I will remove it from this page immediately.